2. Is Erdogan really stronger after failed coup? 3. Ece Temelkuran: Good enough for the Middle East? 10. Turkey’s Attempted Coup – Cui Bono? An [Organized] Gift From Allah? 2. INTERNATIONAL DAY OF ACTION FOR YEZIDI WOMEN: SECOND ANNIVERSARY OF THE GENOCIDE. Iceland’s Foreign Minister has pledged the country will fight human rights abuses of Kurds and other minorities in Turkey. 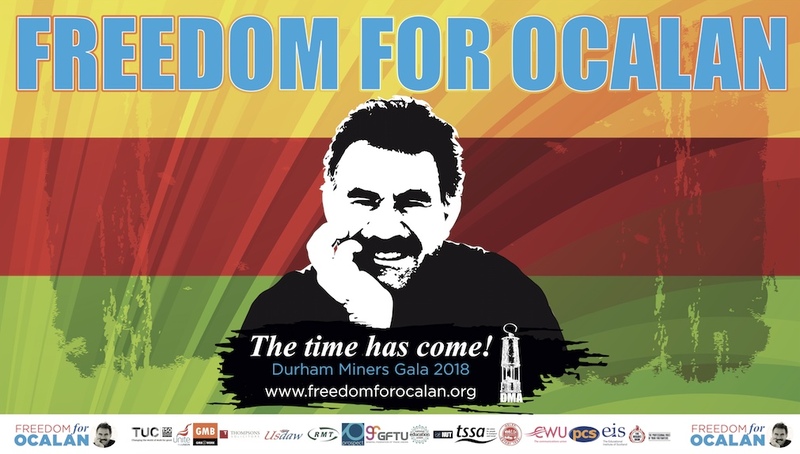 KCK General Presidency Council released a statement on the aggravated isolation imposed on Kurdish People’s Leader Abdullah Öcalan from whom no news has been received since April 5, 2015. KCK pointed out that international powers and the fascist AKP state that served as the guardian of the İmralı system were acting as if there was no İmralı prison and the Kurdish leader was not held there. “They are trying to create reconciliation by ignoring us, the will of some 6 million citizens,” said HDP co-president Figen Yuksekdag. The pro-Kurdish HDP said the government has betrayed the Kurdish people by excluding the party from discussions on how to shape Turkish society following the attempted coup. Turkish president Recep Tayyip Erdoğan has excluded the pro-Kurdish HDP party from meetings with opposition parties on 25 July in the parliament after the failed coup attempt by the Turkish army. TURKEY claimed to have killed 35 Kurdistan Workers Party (PKK) fighters in fending off an attack on a military base at the weekend. Yesterday marked the first anniversary of renewed war between the Kurdish separatist organisation and the Turkish state. Upheavals in the military since July 15’s failed coup have not affected the ongoing conflict, which Turkey’s Human Rights Foundation estimates has forced more than 355,000 people out of their homes. Cologne (Germany) (AFP) – Tens of thousands of supporters of Turkish President Recep Tayyip Erdogan rallied in the German city of Cologne on Sunday as tensions over Turkey’s failed coup put authorities on edge. ERBIL, Kurdistan Region (Kurdistan24) – The co-leader of the pro-Kurdish Peoples’ Democratic Party (HDP) stated recently that the success of the coup in Turkey would have led to more bloodshed, especially among the Kurds. Selahattin Demirtas, the co-leader of the HDP, proposed three solutions for resuming peace talks between Turkey and the Kurdistan Workers’ Party (PKK). One of the solutions includes the release of PKK’s imprisoned leader. “They are coming!” Sivan heard through the phone, as pro-government mobs marched into the predominantly Kurdish area of Küçükçekmece. It was the day after the aborted coup. Fearing an assault, the writer and poet kept a low profile and refrained from speaking Kurdish in public. A delegation of 20 women comprised of REJAK members, intellectuals, artists and academics went from Sulaymaniyah to Duhok on their way to Shengal to mark the second year anniversary of the 3 August Shengal genocide. The Shengal Genocide has been condemned in demonstrations in various locations in Southern Kurdistan. Tevgera Azadi, Free Youth Movement, Shengal Women’s Assembly Women Support Unit, REJAK and many MPs, as well as different groups in society have attended the demonstrations held in various locations and calls were issued to support Shengal more. Syria’s civil war and the rise of Islamic State militants have left Syrian Kurds with an opportunity to control their areas in the north and northeastern part of that war-torn country. 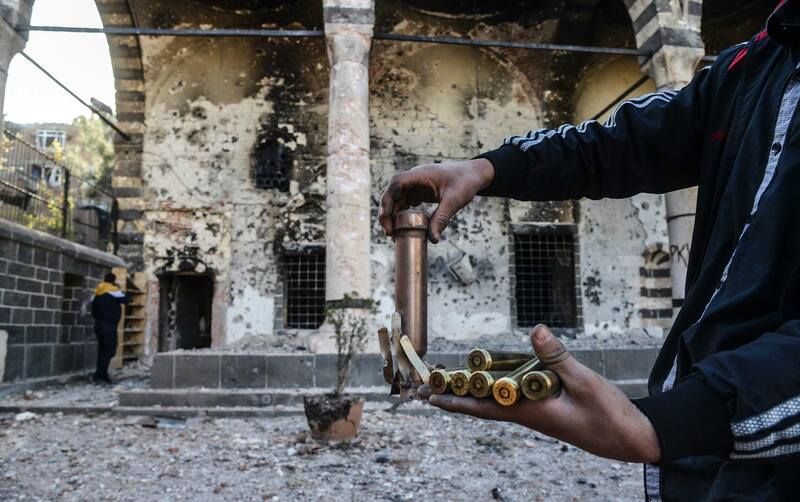 This has allowed the Kurds to exercise their once-banned ethnic culture freely. Tensions mounted between the Kurds and the Syrian regime, after Kurdish forces of the People’s Protection Units (YPG) took positions from the armed opposition groups in Aleppo city, northern Syria. Abdelaziz Yunis, a senior commander of the Kurdish-led Syrian Democratic Forces (SDF) –that include the YPG– told ARA News that the Assad regime wants to show itself as a strong force in Aleppo. “By attempting to take over Kurdish-held areas, the regime wants to show the public opinion that it has won the Aleppo battle,” he said. “It seems Assad regime and its Shiite militias have forgotten that YPG is the most effective force on ground and they cannot ignore this fact,” Yunis said. The Syrian Kurdish leader Salih Muslim told ARA News on Tuesday that they will respect the outcome of an independence referendum in Iraqi Kurdistan, if it’s held. “Our principles is that we are looking for a democratic nation, not for a [ethnic] nation state. In Rojava [Syria’s Kurdish region we don’t look for independence,” the co-head of the Democratic Union Party (PYD) said. A British man has been killed fighting with Kurdish forces against the Islamic State of Iraq and the Levant (Isil) in northern Syria. Dean Carl Evans, a 23-year-old from Reading, was killed on July 21during an offensive by anti-Isil forces to take back the city of Manbij, according to Kurdish forces. His death was confirmed by his father John Evans, who said “he was loved and will be missed by all his family and friends”. TEHRAN, Iran (Kurdistan24) – On Tuesday at dawn, at least 36 Kurdish Sunni prisoners were hanged in Rajai Shahr Prison, Karaj, the Human Rights Activists News Agency in Iran (HRANA) reported. The attempted coup in Turkey mobilized the nation against not just the plotting officers, but also the religious group that at least some of those plotters seem to belong: The Islamic community led by Fethullah Gulen, a US-based Turkish cleric. The prevailing view among punditry and the media, both Turkish and international, is that President Recep Tayyip Erdogan has emerged much stronger from the July 15 coup attempt and is now empowered to steer the country as he likes. This assumption, however, is less than convincing for those who have closely watched Erdogan’s character, relationship with power and general political style during his 14 years in power. If Cihan Tuğal’s book was filmed as a political thriller, the pre-credit sequence would go something like this: George Bush, against the backdrop of the Bosphorus Bridge, delivers a speech announcing the discovery of a cure for radical Islamism to the 2004 NATO summit in Istanbul. As Commander-in-Chief of the ‘war on terror’, Bush has a flattering message for his Turkish hosts: ‘Your country stands as a model to others, and as Europe’s bridge to the wider world. Your success is vital to a future of progress and peace in Europe and in the broader Middle East.’ The ‘Turkish model’, showing the perfect match of moderate Islam with American-style democracy, would prevent a dangerous fundamentalism from taking hold. THE Ottoman Empire is in vogue in Turkish politics and popular culture. “Magnificent Century”, a 2011 soap opera based on the life of Sultan Süleyman, ran for five seasons and amassed an audience across 47 countries. The country’s foreign policy stance, with President Recep Tayyip Erdogan exercising Sultan-esque authority, has grown increasingly aggressive. Yet this nostalgia is short-sighted. The causes of the Ottoman dynasty’s decline—racial tensions and the first world war chief among them—are being ignored; exploring them could provide some much-needed insight into the divisions that plague modern Turkey. The sweeping purges and mass arrests since last month’s failed military coup in Turkey have confirmed many of the worst fears about President Recep Tayyip Erdogan’s government. They are the most recent in a long history of abuses. Over the last few years, Mr. Erdogan has harshly repressed the Turkish press and civil society, supported extremist militant groups in Syria, broken off a promising peace process with his country’s Kurdish nationalists, and worked relentlessly to change his country’s Constitution so he can rule as a quasi-dictator. At first the attempted coup in Turkey aroused much concern in Iran, and it is therefore no coincidence that Tehran was the first to express support for Turkey’s President Recep Tayyip Erdogan a few hours after the events began. The attempted coup in Turkey confronted Iran with the alarming prospect of a violent conflict in a large, important neighboring country; a possible downfall of an Islamic regime, even a Sunni one, was regarded by Tehran as a dangerous precedent. The plan and conspiracy between Turkey, Qatar and The Kurdish Regional Government (KRG) against Rojava will never end. Documents disclosed by Wikileaks recently regarding the meetings and agreements between the three of them and a special meeting between Abu Bakr al-Baghdadi and Barzani, the head of KRG, proves the truth if we were previously in doubt. Please see the links at the end of article. The siege of Aleppo looks set to be a major pivot point in the Syrian crisis. While Russia’s intervention in Syria in September 2015 transformed the balance of power on the ground, it was a later Iranian push from early-2016 that facilitated the siege of Aleppo itself. As Iranian-backed pro-regime forces steadily closed in on key strangle points like the Castello Road, Russia saw itself gradually sucked into a battle in which its airpower is now a crucially important factor. Now that the siege is in place, no party to the pro-regime alliance can afford to let it slip. INTERNATIONAL DAY OF ACTION FOR YEZIDI WOMEN: SECOND ANNIVERSARY OF THE GENOCIDE. 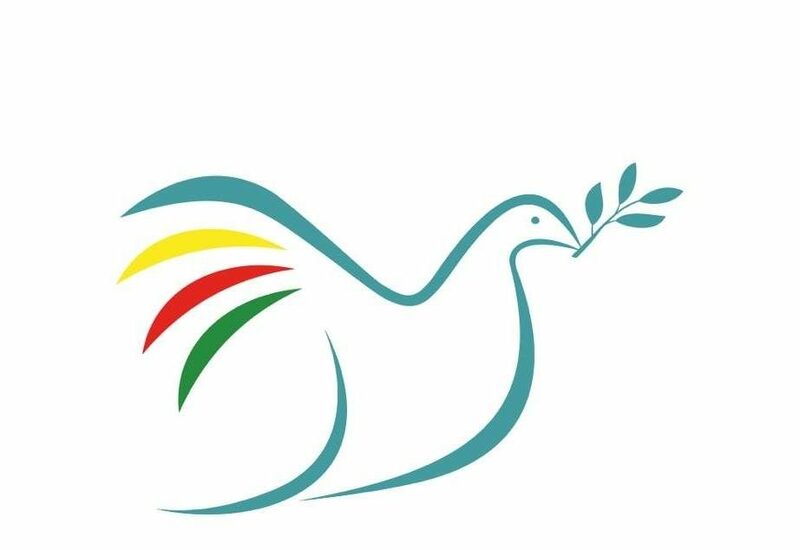 Press Release: Peace in Kurdistan Women Alliance for Kurdistan, Iraq and Syria together with Roj Women Assembly and Jean Lambert MEP are delivering an open letter to the Prime Minister, Theresa May, today, Wednesday 3rd August, 2pm, the second anniversary of the beginning of the Genocide of the Yezidi people in Shingal. Open Letter: Today, on the 2nd anniversary of the beginning of a gross and systematic pattern of human rights violations against the Yezidi people, we are calling on you and the British Government to take action and to trigger mechanisms for accountability for the perpetrators of what amounted to a genocide of the Yezidi in Iraq and Syria from August of 2014 onwards. in partnership with the Institute of Archaeology and Ethnography in Yerevan.